WISMEC Motiv POD Starter Kit, being an all-in-one style kit, comes with a 4ml replaceable cartridge and 2000mAh built-in battery. 5 colors. WISMEC Motiv POD Starter Kit, being an all-in-one style kit, comes with a 4ml replaceable cartridge and 2000mAh built-in battery. 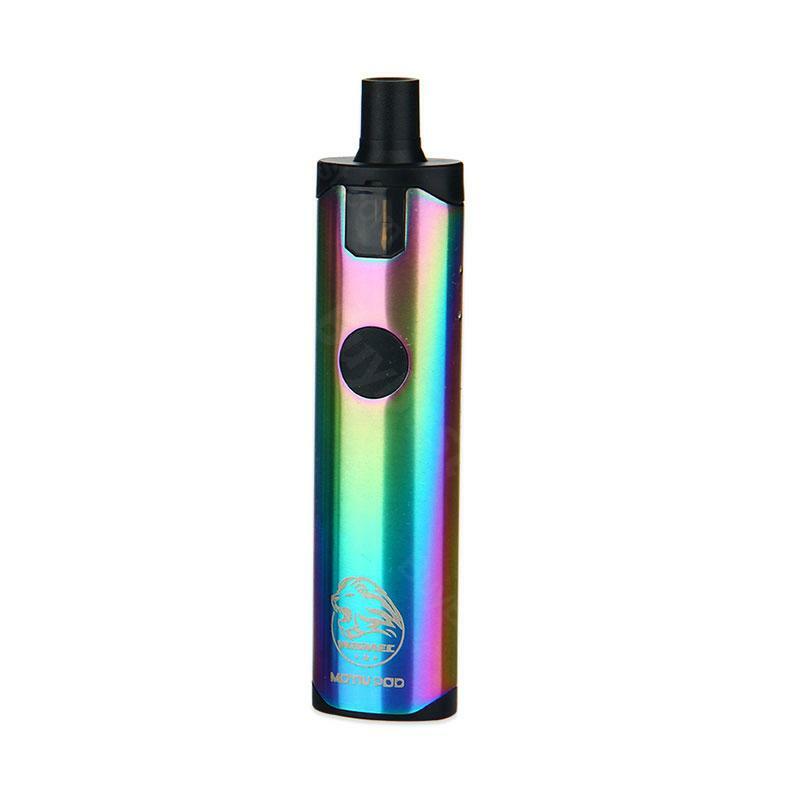 It applies a leak-proof system with the creative side e-juice filling design. And WISMEC Motiv POD features fashionable colors and compact size. The colorful indicator light also making Motiv quite popular and unique. With the WISMEC Motiv POD, you will enjoy a better vaping experience. 5 colors to choose. Power on/off: press the fire button 5 times in quick succession, the indicator will flash 5 times to indicate Motive POD is ready for use. In the same way, the device is powered off after 5 presses. Vaping: Press the button and inhale. Turn off or shift indicator light: In power-off condition, long press the fire button until the indicator light is on. Then press the fire button to shift among the color of blue, green, indigo, red, purple, yellow, white or light off. Functions: Short-circuit protection/ Atomizer protection/ Low voltage protection/ Resistance test/ Battery display. • It's an empty cartridge, you still need order e-liquids to use it. • Please notice that, instead of replacing the coil, the whole cartridge shall be replaced if it needed. 33 waiting days... I ordered simultaneously from another seller mtl' ku. So she came for his six mother days from singapore. We write down for the new year and the load of delivery. 5 stars! For the product itself, fast shipping and the store's quick service. my boyfriend is happy withit! !